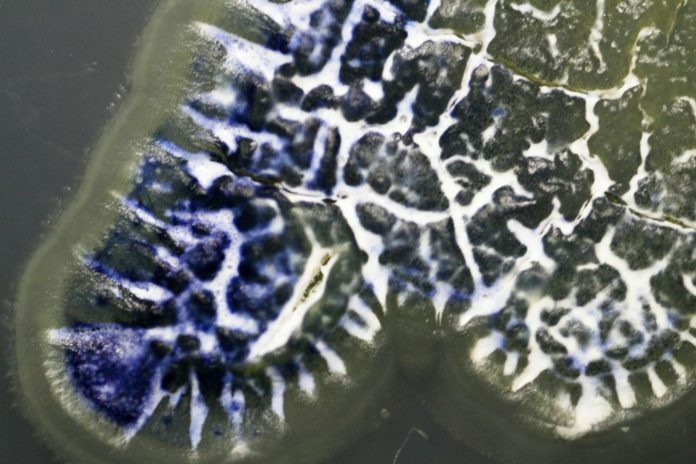 Scientists have known that the same class of bacteria (Streptomyces) that has provided many of our antibiotics can be found not only in soil but also on insects. Cameron Currie, PhD, a University of Wisconsin (UW)-Madison professor of bacteriology, has shown that some of these insect-associated microbes provide their hosts with protection against infections, suggesting that insects and their microbiomes may be a rich new source of antibiotics for use in human medicine. Currie and his team set out to test that idea in a search of microbes from insects collected from diverse environments across North and South America. The researchers found that insect-borne microbes often outperformed soil bacteria in stopping some of the most common and dangerous antibiotic-resistant pathogens. In their work, the scientists discovered a new antibiotic from a Brazilian fungus-farming ant, naming it cyphomycin. Cyphomycin was effective in lab tests against fungi resistant to most other antibiotics and combatted fungal infections without causing toxic side effects in a mouse model. The researchers have submitted a patent based on cyphomycin because of its effectiveness in these early tests, setting up the team to begin to do the additional work required before cyphomycin could be developed into a new drug used in the clinic. The study (“The antimicrobial potential of Streptomyces from insect microbiomes”) appeared in Nature Communications. The work was led by Currie lab graduate student Marc Chevrette with collaborators in the UW-Madison School of Pharmacy, the UW School of Medicine and Public Health, and several other institutions in North and South America. “Antimicrobial resistance is a global health crisis and few novel antimicrobials have been discovered in recent decades. Natural products, particularly from Streptomyces, are the source of most antimicrobials, yet discovery campaigns focusing on Streptomyces from the soil largely rediscover known compounds. Investigation of understudied and symbiotic sources has seen some success, yet no studies have systematically explored microbiomes for antimicrobials. Here we assess the distinct evolutionary lineages of Streptomyces from insect microbiomes as a source of new antimicrobials through large-scale isolations, bioactivity assays, genomics, metabolomics, and in vivo infection models. Insect-associated Streptomyces inhibit antimicrobial-resistant pathogens more than soil Streptomyces. Genomics and metabolomics reveal their diverse biosynthetic capabilities,” wrote the investigators. To survey a large portion of insect diversity, the Currie team collected more than 2,500 species across all major groups of insects, including flies, ants and bees, moths and butterflies, beetles, and more. About a third were collected in tropical landscapes, and another third from temperate climates, with the remainder from arctic or other regions. “We could collect 400 insects in a few days,” said Currie, whose own collecting assignment took him to Hawaii in winter. More than half of those insects harbored the right kinds of bacteria. In all, the insects provided more than 10,000 microbes to test. The team isolated another 7,000 strains from soil or plant sources. “The real power in our study is that we did it 50,000 times,” said Chevrette. With David Andes, MD, professor of medical microbiology at the UW School of Medicine and Public Health, the researchers tested several dozen promising microbe strains for their ability to fight infections in mice. Extracts from these microbes effectively killed both bacterial and fungal pathogens, and few demonstrated toxic side effects. As a further proof of concept, the team worked with UW School of Pharmacy professor Tim Bugni, PhD, to purify cyphomycin and determine its chemical structure. Cyphomycin was able to treat infection in mice by Candida albicans, an opportunistic fungal pathogen that often infects immunocompromised people. Cyphomycin also showed low toxicity in mice. By demonstrating effective antimicrobial action and low toxicity in mice, the researchers say they have passed the first barrier to developing new antibiotics for clinical use in humans. But many promising drugs fail further along in development, which is why it is important to identify multiple candidate antibiotics in the early stages. “The insects are doing the prospecting for us,” said Currie.